The Intelligence and Security Committee (ISC) report, published on Thursday, said only a “tiny” proportion of data collected was ever seen by human eyes. Intelligence agencies “do not seek to circumvent the law” and must seek the “specific authorization” of a cabinet minister before spying on individuals in the UK, the ISC said. The ISC called for a single law to be introduced to regulate UK security services and their bulk collection of private communications. 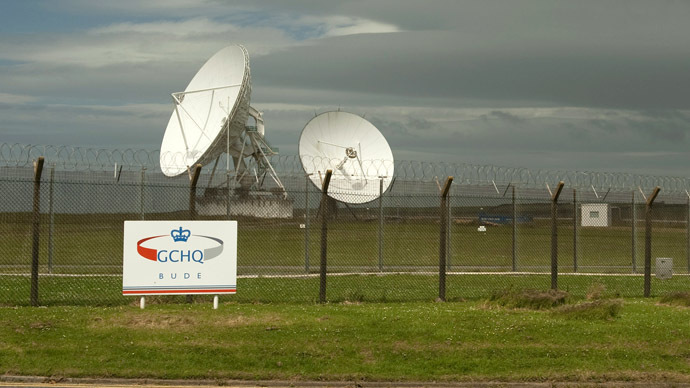 The committee found British spy agency GCHQ does not use its surveillance powers, which include the ability to intercept all private communications in the UK, for unlawful or unrestricted spying. The Cheltenham-based national listening post was found to have collected data unlawfully for seven years by the Investigatory Powers Tribunal (IPT) in February. However, the ISC found it has a thorough filtration process which only flags material likely to relate to terrorism or other national security matters. Although the agency collects a vast amount of private information from ordinary citizens, only a “tiny” proportion of this is examined by spies. This “tiny” proportion still amounts to “around *** thousand items a day,” the report said in a heavily redacted section. “Given the extent of targeting and filtering involved, it is evident that while GCHQ's bulk interception capability may involve large numbers of emails, it does not equate to blanket surveillance, nor does it equate to indiscriminate surveillance,” the ISC said. It added that GCHQ cannot search and examine the communications of a UK citizen unless they “first obtain a specific authorization naming that individual, signed by a secretary of state [minister]. Nevertheless, there is more that could and should be done. “While we accept that they need to operate in secret if they are to be able to protect us from those who are plotting in secret to harm us, the government must make every effort to ensure that information is placed in the public domain when it is safe to do so,” the committee said. Campaign group Privacy International said the report confirmed the British government conducts mass surveillance of communications. “However, no amount of technical and legal jargon can obscure the fact that this is a parliamentary committee, in a democratic country, telling its citizens that they are living in a surveillance state and that all is well,” the group added. While Privacy International welcomed the ISC’s recognition that Britain’s surveillance laws are out of date, they called for radical reform. ISC (obv) cleared GCHQ of illegality, but has 'serious concerns' re lack of transparency/oversight: who'd argue we'd be better w/o the leak? The ISC's inquiry began in 2013 after former NSA contractor Edward Snowden leaked secret documents revealing the extent of intelligence gathering by US and UK spies. It has heard from senior politicians and the heads of all three UK spy agencies – MI5, MI6 and GCHQ. The committee heard from several cabinet members, all of whom defended the security services’ need to harvest private data belonging to citizens. Foreign Secretary Philip Hammond told the ISC the British public was willing to accept some “intrusion” by spy agencies. “I think the mood of the public is that they want to be secure and that a certain level of intrusion is required,” he said. Deputy Prime Minister Nick Clegg adopted the most cautious line of the three politicians. He called for an “internet constitution” to enshrine the rights of web users and protect their privacy. However, Clegg also argued there did not need to be a “crude trade off” between security and privacy. He said security was essential to allowing people to exercise their freedoms, but it could not exist in an environment where people felt their privacy was not properly safeguarded. The heads of MI5, MI6 and GCHQ each defended the bulk collection of data when they appeared before the inquiry. The ISC came under fire last month for not being critical enough of Britain’s intelligence agencies. Conservative David Davis MP criticized the committee for acting as a “spokesman” for intelligence agencies, rather than a watchdog.